Round trip transportation with air conditioning and tour conductor. 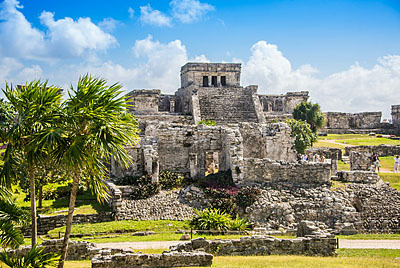 Access to the archaeological site of Tulum with bilingual certified tour guide (duration: 2 hours). 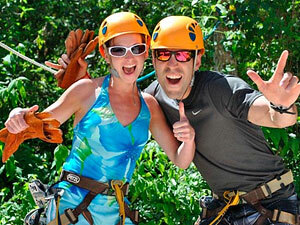 Access to Xel-Ha Park Riviera Maya from 12:00 to 5:30 pm. Traditional Mexican food and international buffets. 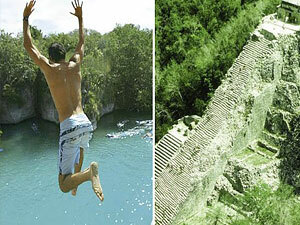 Unlimited drinks & Domestic Open bar service at Xel-Ha. Snorkel equipment & free snorkel tube, locker and towel (day-use only).